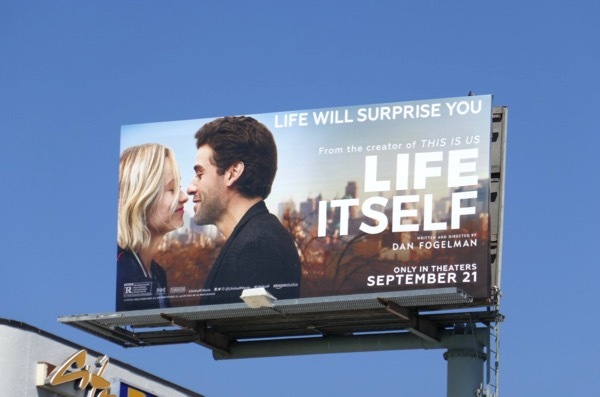 This September the creator of NBC's hit drama This Is Us turns his lens to the big screen with the movie, Life Itself. 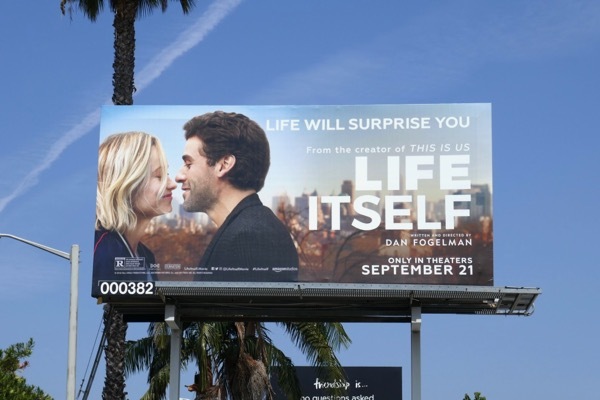 No stranger to time-hopping narratives, the film follows a couple (played by Olivia Wilde and Oscar Isaac) from their college romance to marriage, the birth of their child and beyond. 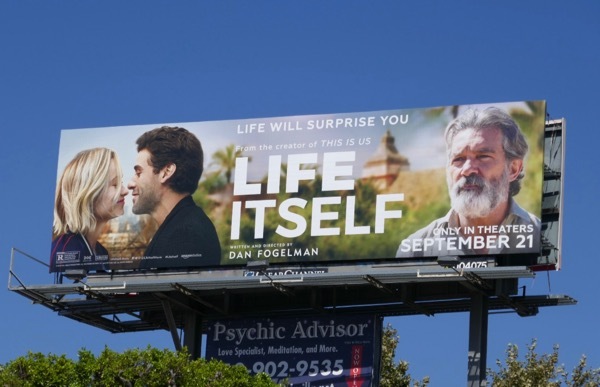 The multi-generational saga about love, life and the human condition set in New York City and Carmona, Spain, also stars Antonio Banderas, Mandy Patinkin, Olivia Cooke and Annette Bening. 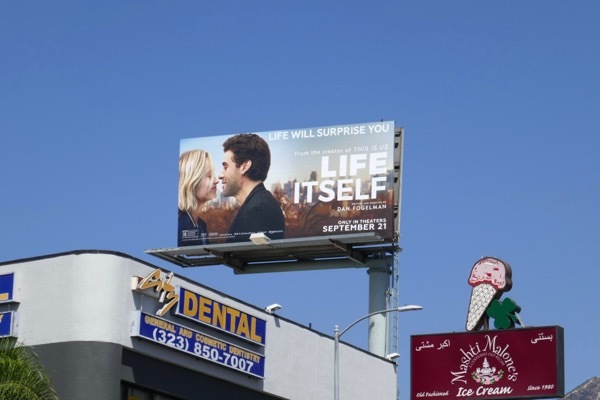 These billboards were spotted along Fairfax Avenue, Pico Boulevard and La Brea Avenue from August 28 to September 9, 2018. 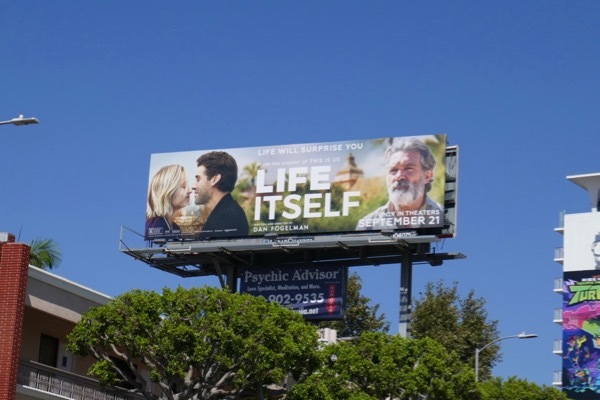 Fans of Olivia Wilde can also check out this Tron: Legacy movie billboard, whilst admirers of Oscar Isaac can take a look at these Star Wars: The Last Jedi billboards, these Operation Finale movie billboards and these Show Me A Hero mini-series billboards. Viewers of This Is Us know to expect time-traveling twists and turns from the writer and director, plus more than a few tears, so grab your hankies at the same time as your popcorn on date night.